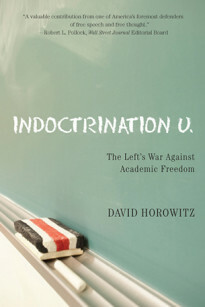 Though many people know that American universities now offer an inadequate and incoherent education from a leftist viewpoint that excludes moderate and conservative ideas, few people understand how much this matters, how it happened, how bad it is, or what can be done about it. In The University We Need, Professor Warren Treadgold shows the crucial role of universities in American culture and politics, the causes of their decline in administrative bloat and inept academic hiring, the effects of the decline on teaching and research, and some possible ways of reversing the decline. 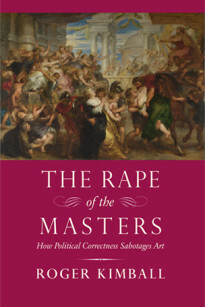 He explains that one suggested reform, the abolition of tenure, would further increase the power of administrators, further decrease the quality of professors, and make universities even more doctrinaire and intolerant. Instead he proposes federal legislation to monitor the quality and honesty of professors and to limit spending on administration to no more than 20% of university budgets (Harvard now spends 40%). Finally, he offers a specific proposal for the founding of a new leading university that could seriously challenge the dominance of Harvard, Princeton, Yale, Stanford, and Berkeley and attract conservative and moderate faculty and students now isolated in universities and colleges that are either leftist or mediocre. While agreeing with conservative critics that universities are in severe crisis, Treadgold believes that the universities’ problems largely transcend ideology and have grown worse partly because disputants on both sides of the academic debate have misunderstood the methods and goals of higher education. Warren Treadgold is National Endowment for the Humanities Professor of Byzantine Studies and Professor of History at Saint Louis University. Although many people think the Left has won the culture wars for good, few wars end in a total and permanent victory for one side. The Left’s dominance is recent, and shows signs of being insecure. After eight years of the mostly leftist presidency of Barack Obama, a Gallup poll showed 72 percent of Americans were dissatisfied with the state of the country; the last time the poll showed a satisfied majority was in 2004, under George W. Bush. After defeating Democrats who took largely leftist positions in 2016, Republicans now control the presidency, Congress, and most state governments. While the Supreme Court remains divided, another Republican appointment could soon give it its first majority of strict constructionists since judicial activism began in the sixties. Conservative think tanks and foundations are now at least as influential as their left-leaning counterparts. As for religion, some strong conservative voices can be found among orthodox Catholics, evangelical Protestants, and Orthodox Jews. Though the Left retains a clear advantage in the national media, opponents of the Left can now reach a wide audience through Fox News, talk radio, and a range of conservative journals and websites. Among celebrities, whose influence on our culture has increased, the Left also holds a clear advantage, but the Right has its own influential celebrities, one of whom is now President. As of now, the only major center of influence where the Left is overwhelmingly dominant is the university. Universities have become the most important source of leftist ideas in America, which first emerged from the student radicalism of the sixties. For almost forty years, especially after the crushing defeat of the student-supported George McGovern in the 1972 presidential election, most Democratic politicians—and liberal media and think tanks—remained uncomfortable with student leftism. As presidents, Jimmy Carter and Bill Clinton often tried to appease leftists but avoided pursuing leftist policies that looked unpopular, as most leftist policies then did. The less cautious leftism of Michael Dukakis was probably the main reason he lost the 1988 presidential election so decisively. But during all this time the leftist presence in universities steadily grew, especially among professors but also among the students they taught. Professors and students became more active in politics, mostly as organizers but sometimes as candidates, and made their voices heard in the media. Even in solidly Republican states, Democratic candidates could count on strong support in college and university towns. Support from students and professors made a major contribution to the presidential campaign of Barack Obama, a former lecturer at the University of Chicago Law School. In 2016 campus leftists had a presidential candidate who agreed with almost all of their views: Bernie Sanders. Significantly, Sanders called himself a socialist, not a Democrat, and campaigned on proposals that the government relieve student debts and pay full tuition for students at public universities. The influence of university students, recent graduates, and professors in Democratic primaries was a major reason that Sanders came close to winning the nomination, though he had little support within the Democratic Party organization and was running against Hillary Clinton, who had the organization firmly behind her. While campaigning for the nomination, Sanders forced Clinton to move to the Left and even to adopt a slightly modified form of his proposal for free tuition at public universities, despite the misgivings she had expressed earlier about its high cost. In the general election campaign, she ran on a platform much like that of Sanders. Though college students, professors, and administrators strongly opposed Trump and favored Clinton, her acceptance of their ideology was probably a key reason she lost the election. Conversely, Trump’s rejection of that ideology was probably a key reason he won, with particularly strong support from voters without college degrees. 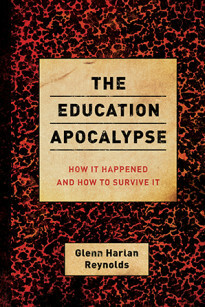 In The Education Apocalypse, Glenn Harlan Reynolds explains how American education as we knew it collapsed – and how we can all benefit from unprecedented power and freedom in the aftermath. A huge success in hardcover, The Killing of History argues that history today is in the clutches of literary and social theorists who have little respect for or training in the discipline. He believes that they deny the existence of truth and substitute radically chic theorizing for real knowledge about the past.